Who is Feluké? To most people, he is a percussionist, for that is where he staked his claim. But percussion, deeply rooted in his spirit, is only the gateway to the music that makes the man. The name Feluké is adapted from a Nigerian name meaning “placed in Gods hands”. And as he was placed in those hands, so was music placed in his own. Feluké is music. Like many great musicians, Feluké hails from the famous Alpha Boys’ School in Jamaica. 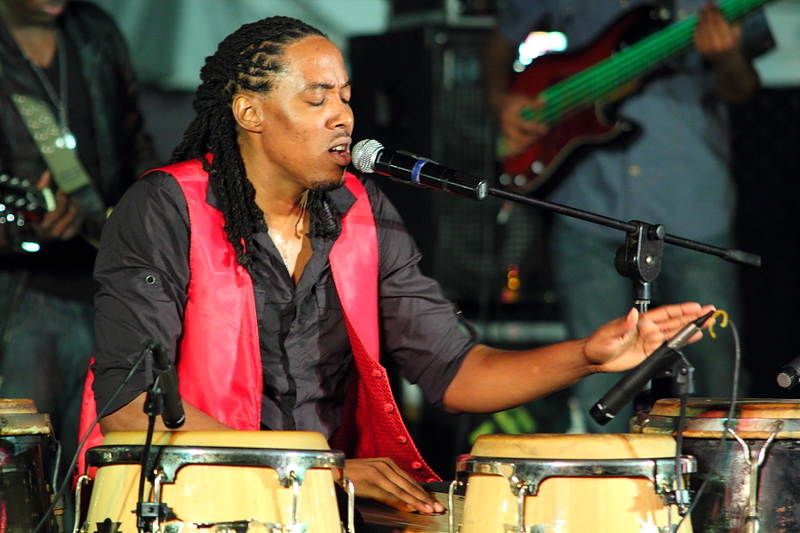 With his training in multiple instruments, he first used his talent to become a Master Percussionist, but has since established himself as a composer, songwriter, producer and singer. His musical genius is displayed in the beautiful multi-textured spectrum of his creations. Since childhood, Feluké knew what he wanted to be, what he had to be, and he set out on that journey to find his place in music. Already an accomplished and respected musician, Feluké is now reborn as an artiste, with music that mixes reggae, jazz, pop, R&B and various other musical genres to create a synthesis as unique as he is. This young man has already toured half the world with Jimmy Cliff, Luciano, and others, gaining much experience and knowledge of global audiences, appearing in a number of international festivals such as Rotodam, Reggae Sumfest and Jamaica Jazz & Blues Festival, to name a few. He has also performed on albums for Grammy winners Stephen (specifically both the Grammy-winning albums, Mind Control (Acoustic) and The Revelation Pt. 1) and Damian Marley, and for many other artistes as well. Now, he takes the stage for himself and his audience. With his percussive rhythms, telling lyrics, and energetic performance, Feluké is a real musical force that cannot be ignored or denied. This is the new face of Jamaican music! © Copyright FELUKÉ All Rights Reserved.